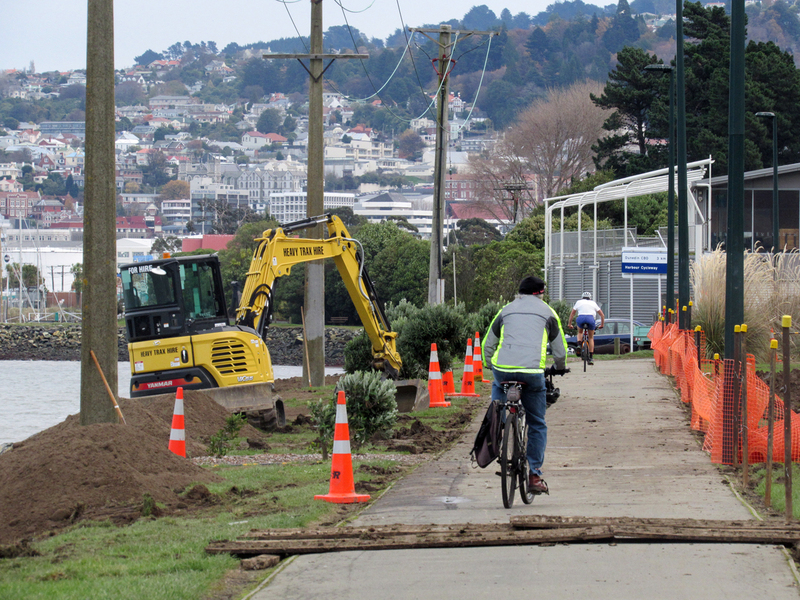 The three-year $200,000 West Harbour Recreation Trail project by the Rotary Club of Dunedin aims to beautify the edges of a 3km section of the cycleway-walkway, from the Otago Boat Harbour to Maia. 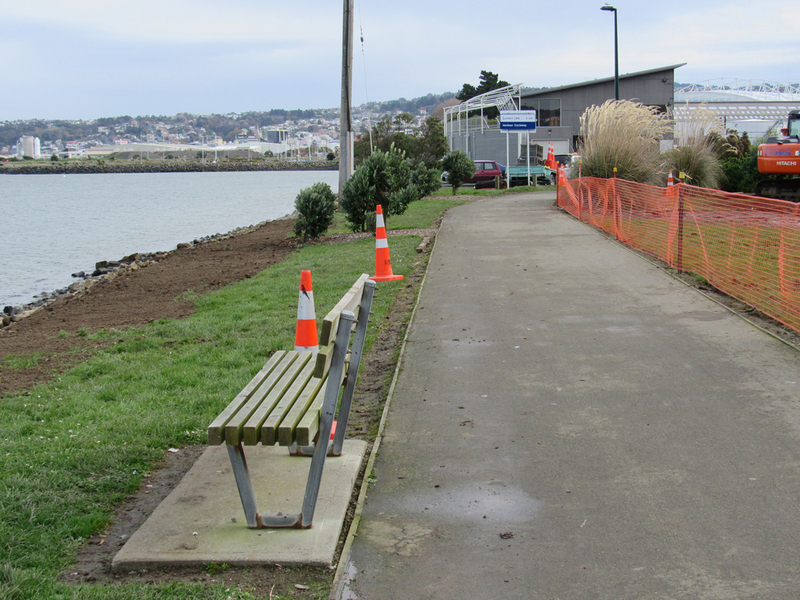 On May 26, a Friday afternoon, two Rotarians turned up at the boat harbour end of the Trail to set out the location of new exercise equipment for public use (in preparation for a June 10 working bee) – the next phase of the harbourside project. 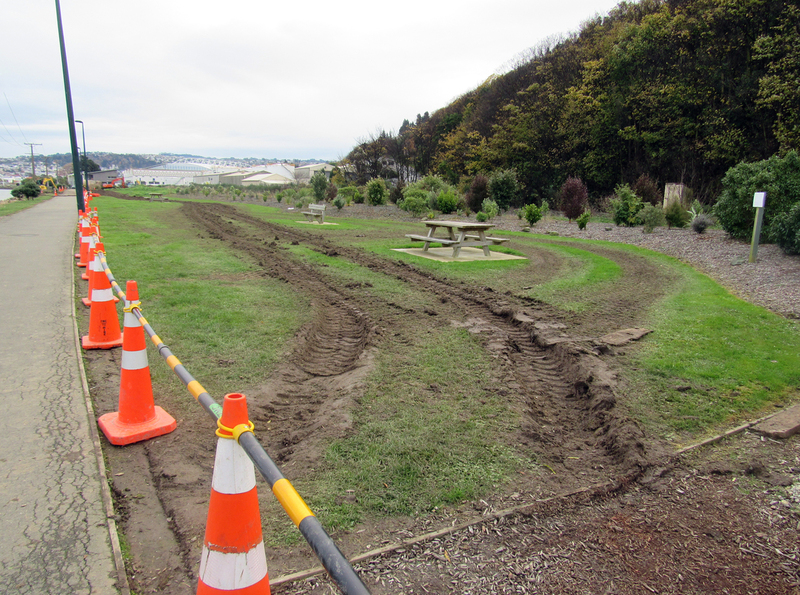 The men were astounded to find a council contractor, ostensibly there to repair the harbour wall, running heavy machinery across the mown green strip, seriously damaging the designated public amenity area. 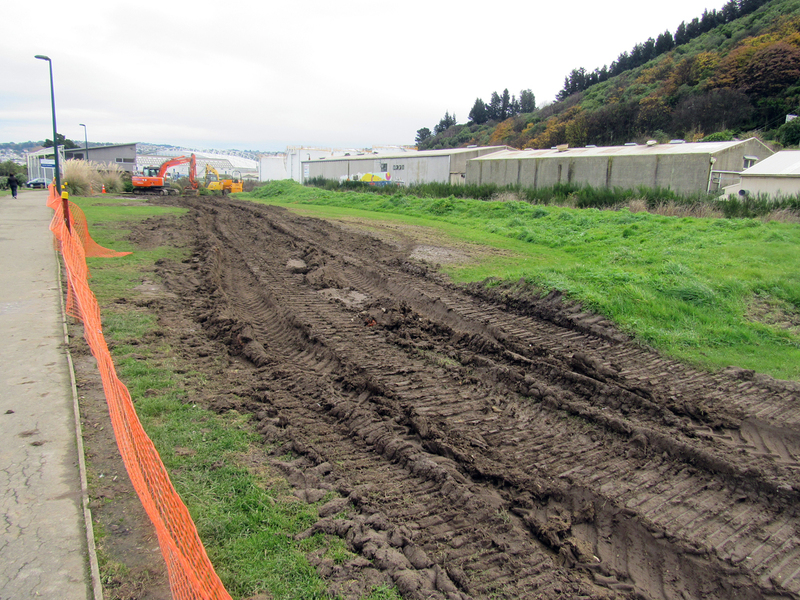 While Rotary’s West Harbour Recreation Trail is a council approved project, and the extended site receives maintenance from Taskforce Green, the DCC had completely failed to advise and coordinate with Rotary before earthworks commenced for repair of the seawall. How does this happen ??! Apparently, DCC has assured Rotary that the damage will be put right by the contractor. However, because of no drying for some time Rotary’s scheduled work at this site is on hold (at least a five month delay). Rotarians had raised funds from the public to carry out the project. One of the Rotarians said he was ‘incandescent with rage’ over it – and did not often get incandescent!! On Tuesday (May 30) I visited the area to take photographs. This is yet another example of council ineptitude where the left hand doesn’t know what the right hand’s doing. 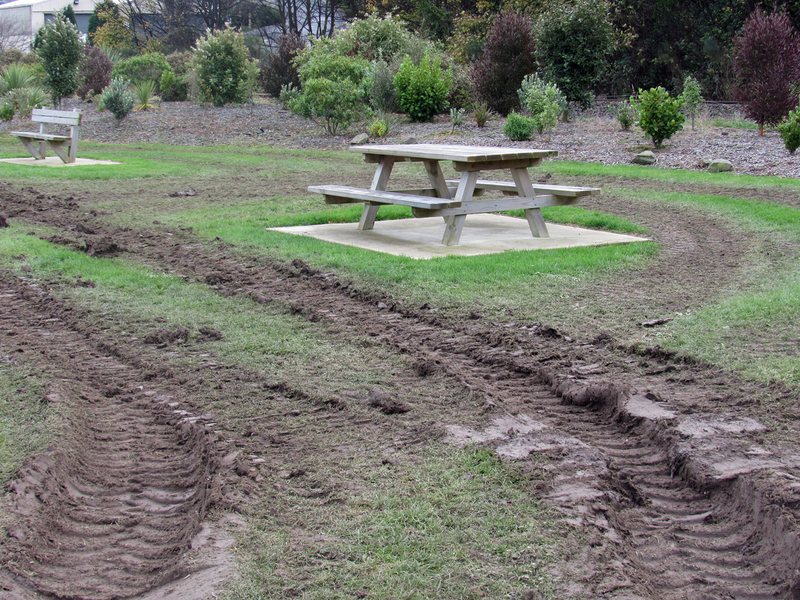 The council’s lack of oversight and the resulting damage may necessitate deeper foundations for the exercise equipment than Rotary had anticipated and budgeted. 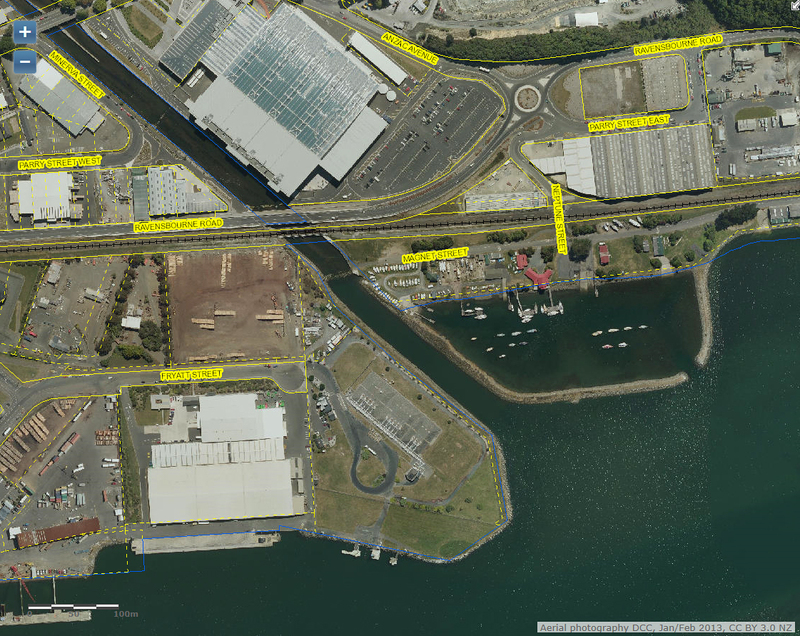 Their working bee planned for June 10 will be reduced in scale, with only installation of exercise equipment at Ravensbourne Footbridge taking place. The working bees for July and August have been cancelled as the site won’t be in a fit state to work on. Timing of the provision of barbeque facilities as part of the landscaping project is also affected. 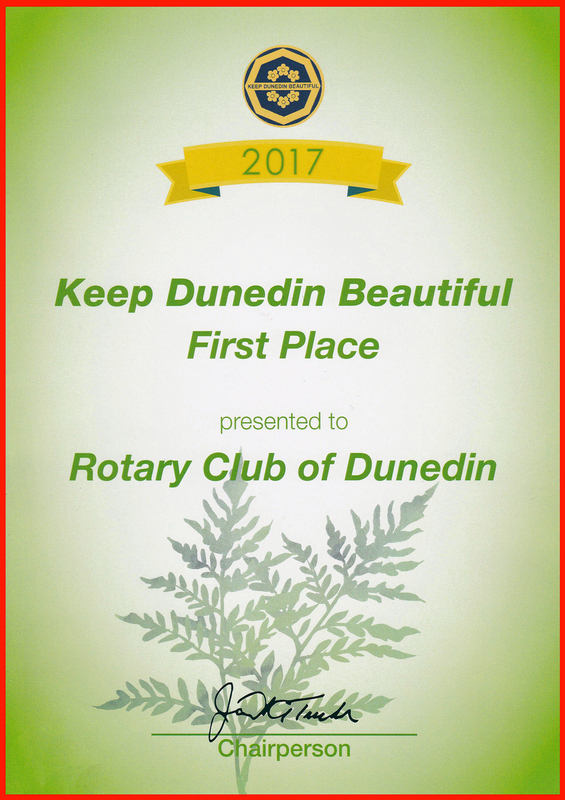 There is the Huge Irony that Rotary have only just been awarded 1st Place by Keep Dunedin Beautiful, for their work on the recreation trail. The award came with a $100 cash prize. Thankfully, say Rotarians, the damage wasn’t done until after the Trees for Babies planting was done on Mother’s Day (14 May). The Keep Dunedin Beautiful Awards “celebrate and honour the people of Dunedin who are committed to beautifying their city and caring for their environment through volunteer action”. The ironies are Most Apparent. 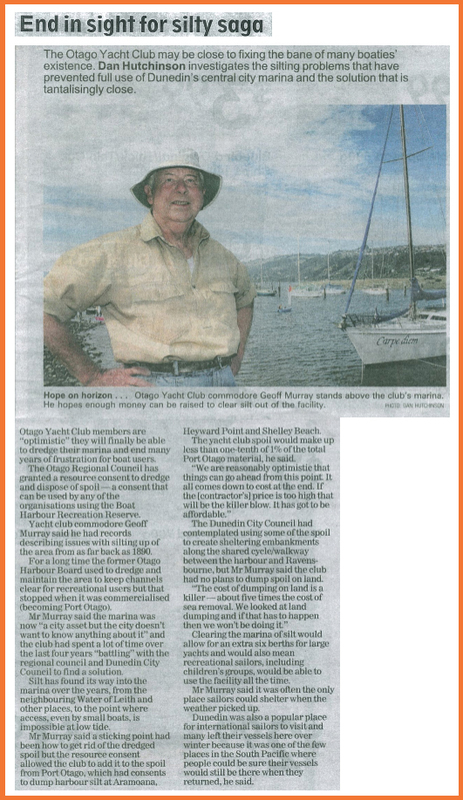 The Otago Regional Council contributed $30m to the stadium roof (an activity beyond its local authority mandate), yet the council has no intention of helping the Otago Yacht Club to maintain the city’s marina, the Otago Boat Harbour. 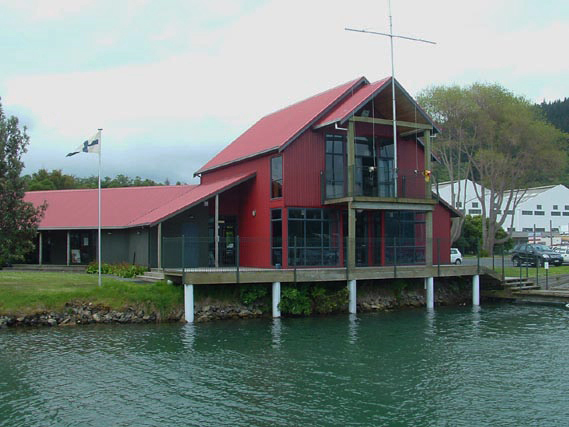 Otago Yacht Club’s origin dates back to 1892, making it one of the oldest yacht clubs in Otago. 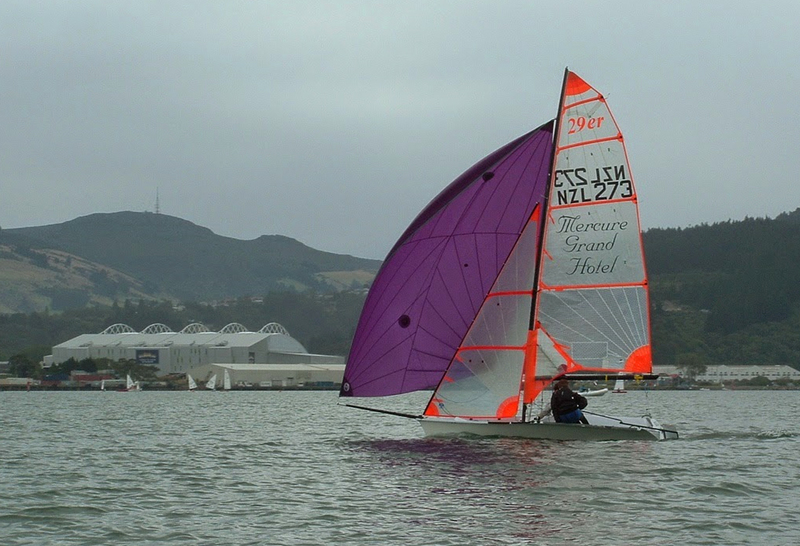 The club caters for a range of sailing interests from keelboats to trailer yachts and centreboarders. The club also operates keeler haul-out facilities and welcomes visiting boats. 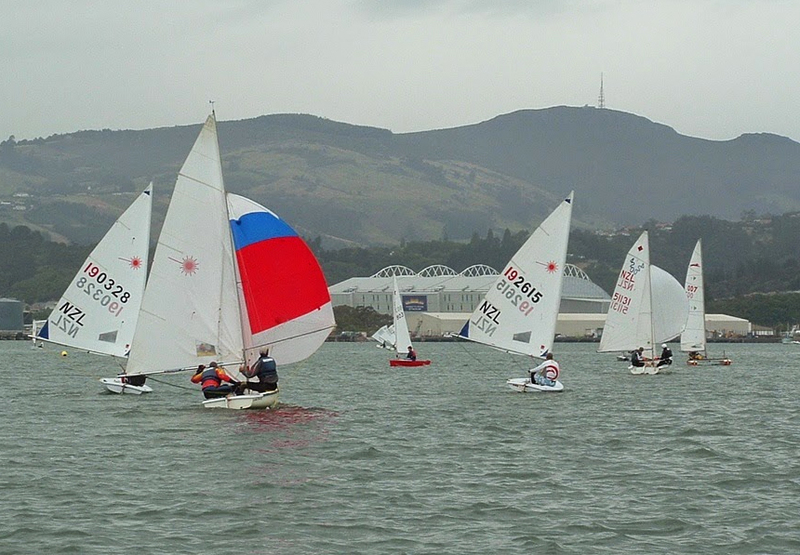 The club manages a full events programme during summer, including harbour, coastal and ocean races. On Sunday mornings in the season the club runs ‘learn to sail’ and ‘learn to race’ programmes which cater for all ages. The clubhouse is a popular venue for private functions and for local organisations to hold meetings and events. Within walking distance of the city centre, the clubhouse offers showers, laundry facilities, email connections etc. The resident caretaker-manager will usually manage to accommodate requests for berthage for boats up to 50 feet. The alongside mooring facilities consist of several large punts inside a walled boat harbour. Due to silting, access to the boat harbour has only been tenable approximately two hours either side of high tide for boats with 2m draft. 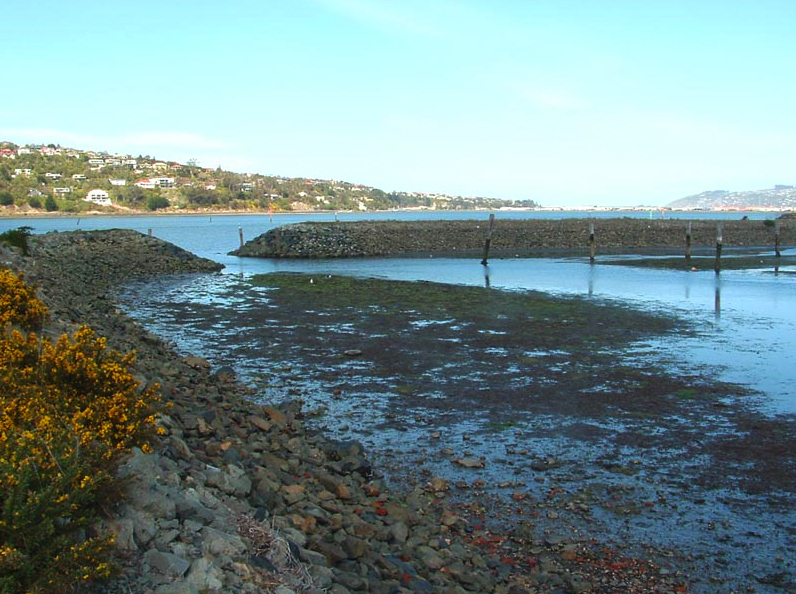 The Otago boat harbour was last dredged in 1995. 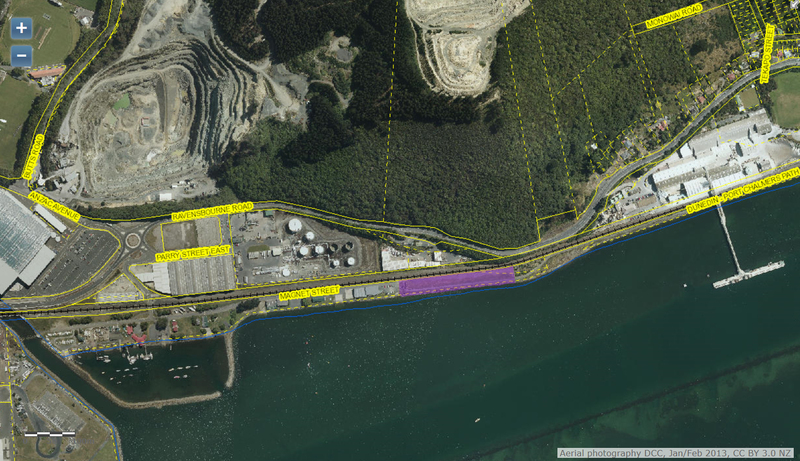 The Otago Boat Harbour is about to get its first dredging in more than 20 years, after the facility reached such a state rescue vessels could not leave the harbour at low tide. 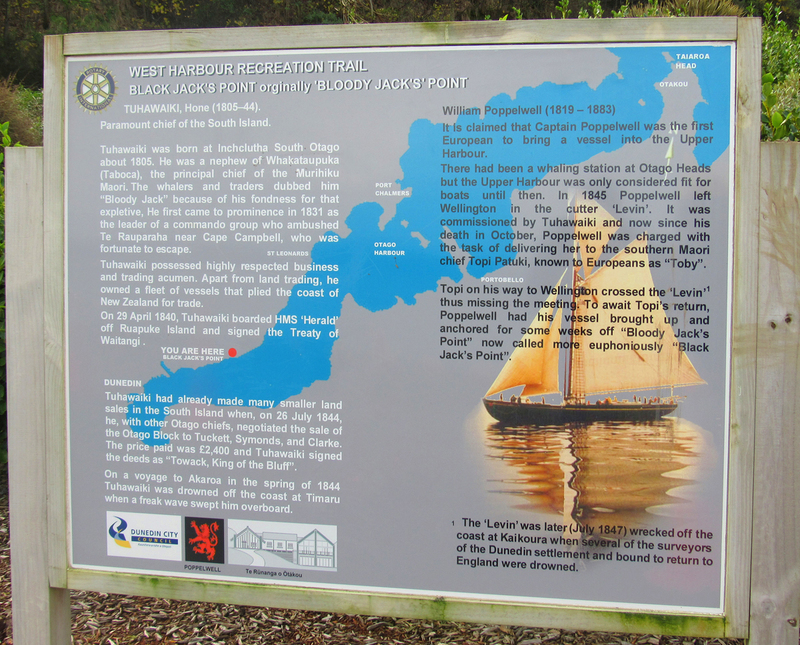 The work, expected to start soon, has been described as a major achievement by the Otago Yacht Club, which leases the boat harbour. 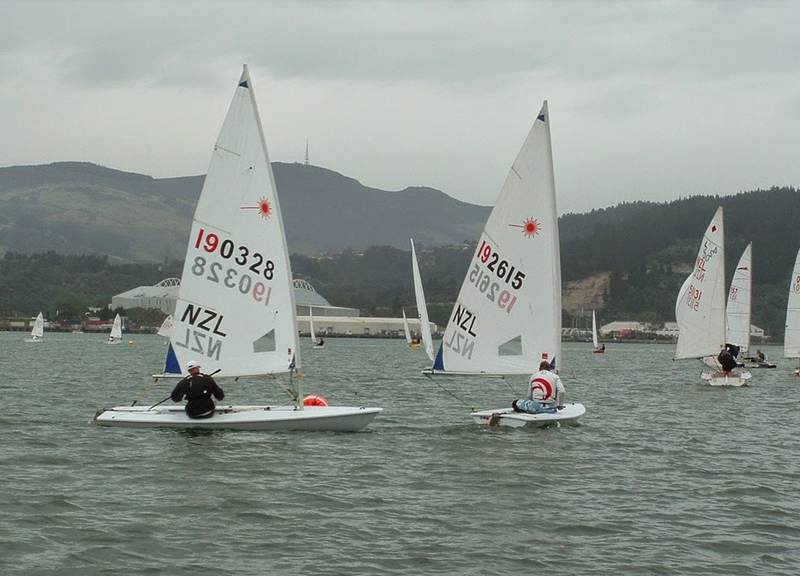 Club vice-commodore Blair McNab said the cost of the project – more than $300,000 – was being paid for from grants and club membership fees. 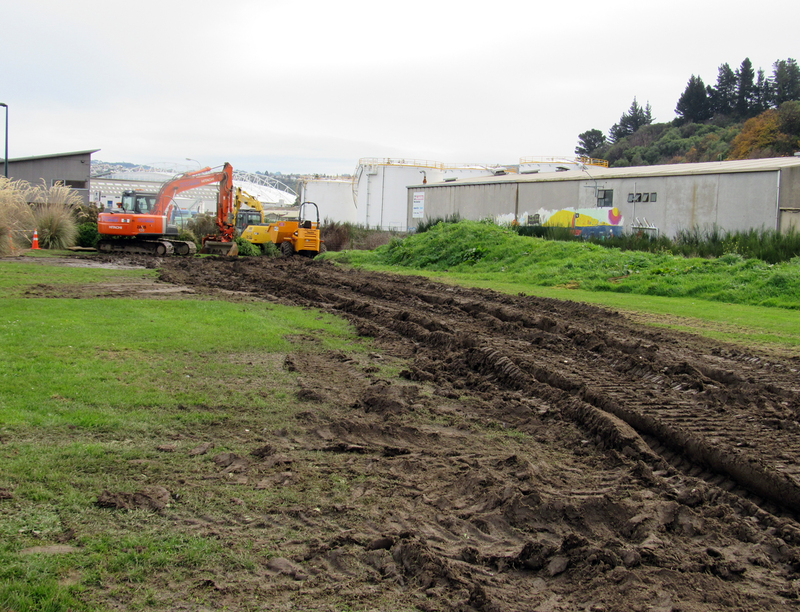 […] The club recently received resource consent from the Dunedin City Council for the work. The consent allowed the club to deposit dredged sediment and soil on land in Magnet St, behind the club, for drying. Mr McNab said once the dredged material had been dried, which took about two weeks, it would be taken to the nearby Logan Point quarry. The consent said once the work was completed, about 100cu m would remain on the grass area at Magnet St to form a barrier around its perimeter, and provide better drainage. 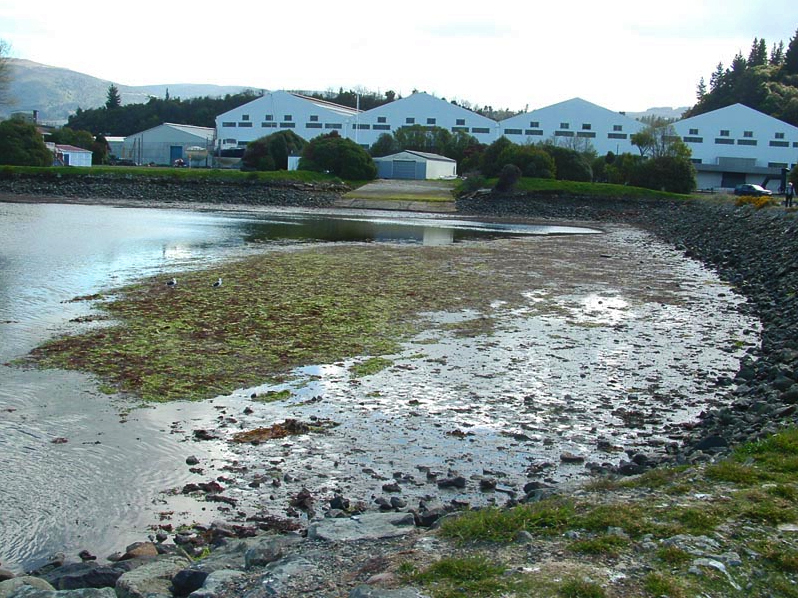 The consent decision said the boat harbour was in such a state that at low tide, craft used for harbour rescues could not get out. 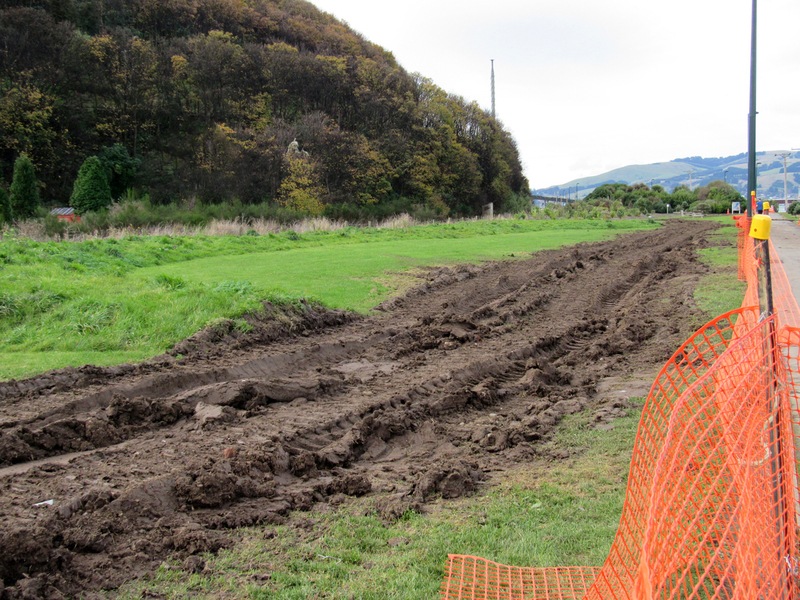 […] The club had hoped the Otago Regional Council might help with the cost of the dredging, as alterations to the Water of Leith meant more spoil was coming from the nearby mouth of the stream. Mr McNab said it appeared the council was not going to help. 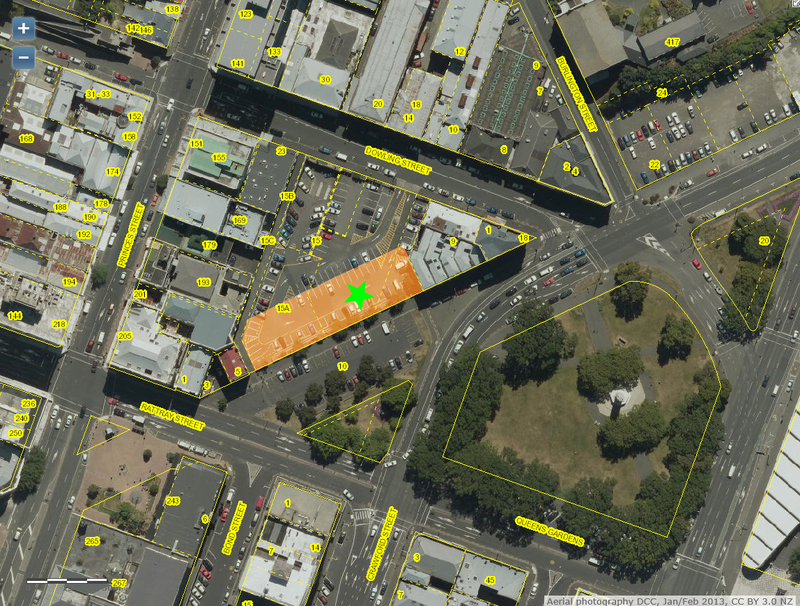 The Otago Regional Council’s “special consultation” over its Dunedin headquarters is flawed, writes former councillor Gerrard Eckhoff. The Otago Regional Council’s annual plan is now open for public consultation. Implicit in the word consultation is the opening of a meaningful dialogue with the public. It would be entirely disingenuous for any local authority to enter into discussion on their annual plan by merely informing the public of council intent without showing a willingness to accept “the wisdom of crowds”. ….This year’s ORC annual plan contains four lines on “Dunedin building review” in its feedback document which could easily be missed at first reading. To its credit, the council has finally accepted its statutory obligation for “special consultation” on this $30million major project. ….The last time the council ventured forth on a new building project without any prior special consultation, it cost the ratepayers upwards of $3million for the concept design and drawings alone. The cost of that proposal was well over $30million and it was never built. It is, therefore, hard to reconcile how the new building/s is going to be around the projected $20million mark, unless building costs have halved in Dunedin from eight years or so ago. 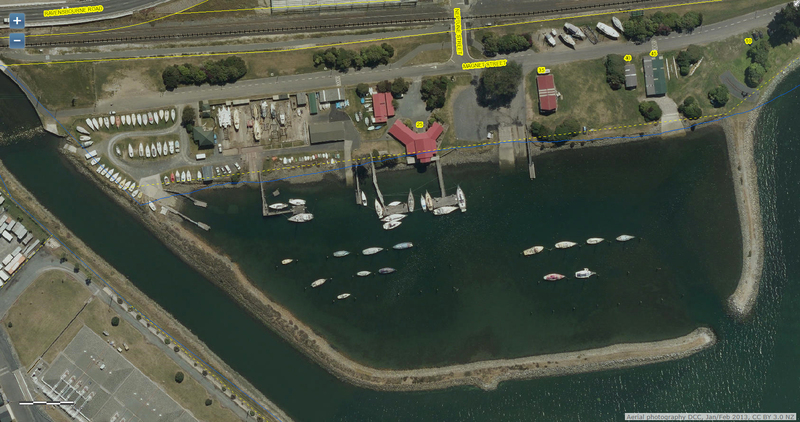 The potential cost of a new car park building must also be factored in, so the ratepayers could soon be the lucky owners of two new buildings, as well as a difficult-to-sell ORC headquarters building in Stafford St.
*Images: Otago Yacht Club except where stated otherwise. Why does no-one want to discuss invoices created by DVML commercial manager Guy Hedderwick on his extensive travels, except for Dunedin campaigner Bev Butler? Who signed them off? Neville Frost (DVML finance manager) and Darren Burden (ex DVML chief executive). 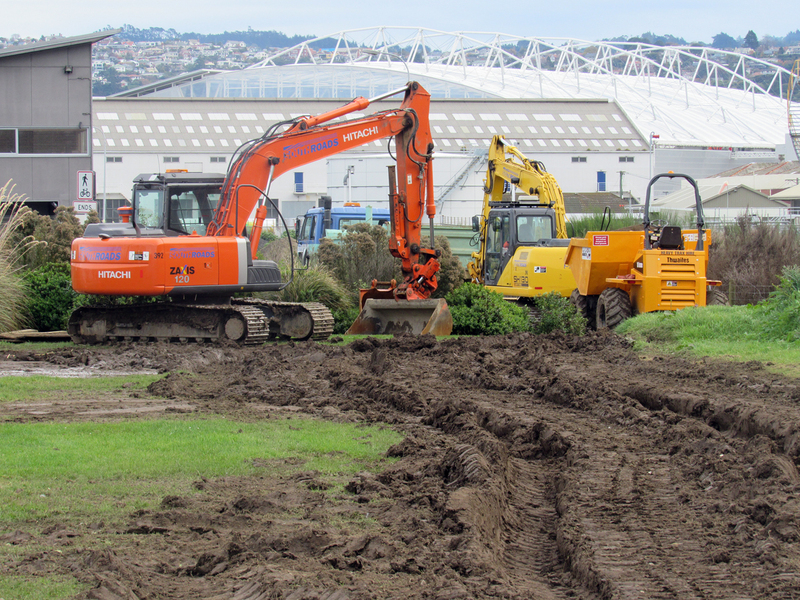 Why is Hedderwick at Adelaide working part-time for DVML when there’s an empty, brand new multimillion-dollar stadium sinking into the mire at Dunedin? Doesn’t Hedderwick also work for the Otago Rugby Football Union (ORFU)? What’s really happening? This morning we have seen media reaction to Bev Butler’s investigation into Guy Hedderwick’s expenses using the Local Government Official Information and Meetings Act (LGOIMA) to obtain invoices —we have also seen Otago Daily Times reporting various replies it has sought from the local burghers about this. Some invoices show stays in five-star hotel rooms costing up to US$300 per night. There is a swathe of rib-eye steaks and expensive bottles of wine attending Hedderwick’s travel across the world and domestic. █ What did Butler say in her Media Release to upset DVML finance manager Neville Frost (ex ORFU)? Find out below. Allegations of inappropriate spending by a former manager at Forsyth Barr Stadium have prompted an angry retort from the company running the venue. The claims came from former Stop the Stadium president Bev Butler in response to invoices and other documents released to her by Dunedin Venues Management Ltd, which runs the stadium. The material showed DVML’s former commercial manager, Guy Hedderwick, had accrued nearly $80,000 in travel costs and expenses while taking 51 work-related trips since 2010. The company running Dunedin’s Forsyth Barr Stadium is threatening to charge for future responses to official information requests after being inundated with questions from stadium critic Bev Butler. The move by Dunedin Venues Management Ltd was immediately slammed by Ms Butler yesterday, who said it was ”an attempt to keep me off their trail”. Ratepayers of Dunedin will once again be amazed with the news that they have paid over $80,000 for the activities of the “departed” commercial manager of DVML, Guy Hedderwick, to travel the world leading the life of Riley with little noticeable benefit. Readers of some newspapers will have learned recently that Dunedin Venues Management Ltd (DVML), the Dunedin City Council owned company that runs the stadium, paid out over $54,000 in entitlements to former chief executive David Davies when he returned to Wales, and just on $30,000 when CEO Darren Burden left to run the Christchurch stadium after a year’s work with DVML. The amounts and details of any “entitlements” paid to DVML’s commercial manager were refused on the basis of Mr Hedderwick’s privacy after the DVML board chairman, Canterbury resident, Sir John Hansen was advised by DVML staff that Mr Hedderwick’s privacy outweighed public interest. While these details remain hidden, what has surfaced is just what it has cost Dunedin ratepayers to keep Mr Hedderwick in the manner to which he clearly has become accustomed. Mr Hedderwick left Dunedin around August of 2013 to pursue a role with DVML in Adelaide similar to the one he had in Dunedin; with arrangements in place that see DVML continuing to employ Mr Hedderwick and meet his expenses while he pursues his role of attracting acts and sponsors to the stadium. His efforts have been almost totally in vain. The only act to appear at the stadium since Mr Hedderwick has been living in Adelaide has been an Australian based franchised Abba look-alike band, Bjorn Again, who in their previous visit to Dunedin appeared at the Regent Theatre. The act attracted 3500 people to the stadium. It was reported at the time that while a similar event the year before had attracted twice this number, DVML were “pleased” at this response. The rationale for this pleasure is hard to fathom. But the cost of Mr Hedderwick’s “work” has been, in contrast to his work achievements, simply staggering. The facts behind Mr Hedderwick’s spending have been revealed after constant requests for information by Bev Butler to Neville Frost, financial manager of DVML. The information has had to be teased out over a significant period of time, but now is starting to be revealed in some sunlight. The vast number of these visits has been listed as “seeking potential sponsors”. Sufficient to say that few new sponsors for the stadium have been notified by DVML or DCC. Mr Hedderwick also seems keen on attending “conferences” around the world. There is no indication or record of any significant contributions that Mr Hedderwick has made to such conferences, nor of any benefit whatsoever to DVML for such attendances. But it is in Mr Hedderwick’s spending that some light shines upon what appears to be a lavish lifestyle endorsed and approved by Mr Neville Frost and Mr Darren Burden. It is neither reasonable nor justifiable for expenditure down to chewing gum and shaving gear at one end of the spending paradigm, to the luxury of five-star hotels and pursuit of fine wines – an interest of Mr Hedderwick according to his Facebook page* – that really takes the cake. Mr Hedderwick has visited many of the above destinations on several occasions. The list supplied by Mr Frost for Mr Hedderwick’s travel outside Dunedin numbers 55 trips. However, there appear to be numerous invoices missing from the almost 300 invoices already supplied. Some invoices are for trips not actually listed; and some invoices are for five-star hotel bills (including The Hilton, The Sheraton, and Radisson Resort Gold Coast for as much as $US300 per night in some instances) and rental cars, but no flights to get to the destination. Yet other invoices include expensive meals, blocks of chocolate, boy’s t-shirts, hat and gloves. With the recent Dunedin City Council announcement of a review of the governance and management of DVML, it would well be advised, in the interests of Dunedin ratepayers, for the council to include a full investigation of all the DVML finances especially the excessive personal expenditure of the DVML management. I am number 9344728427550 or at least that is what my loyalty rewards card at my local food store says I am. I presume that large scale food stores issue customers with loyalty cards so they can reward them for their loyalty. I also imagine that it is a great way to collect buying habit information of individual customers so they can target them with relevant advertising, know exactly what products customers buy, when they buy them, monitor their buying patterns and treat them as individuals. […] We live in a small village outside Adelaide […] I am a Million dollar customer […] I wonder how I would be treated as a million dollar customer if I walked into your business. Venues, along with their teams and ticket providers, have huge amounts of personal data and should understand the emotional reasons guest [sic] attend their events. I don’t really expect my local food store to know me by name, but I do expect to be treated with the dignity “my spend” should demand. There is a huge discussion about big data and the use thereof. How understanding buying patterns and buyer behaviour can be used to sell tickets, merchandise, seat upgrade and improve the customer experience. […] People no longer buy products or services, they buy experiences. We sell the live experience but we need to understand people’s motivations for coming, their behaviours and touch points in order to make the experience truly personal. Then I will happily part with my hard earned dollars. At the end of the day, entertainment and sport (along with good wine) is what makes life worth living. I am not number 9344728427550, I am Guy Hedderwick and I want to feel like a million dollar customer. 14.11.11 DVML, Guy, wth ? 9.2.11 DCC and DCHL, was there ever any doubt? For more, enter *dvml*, *hedderwick*, *burden*, *davies*, or *stadium* in the search box at right. The trials of the Phoenix Coyotes, the least popular hockey team in the NHL, offer a lesson in public debt and defeat. In June, the city council of Glendale, Arizona, decided to spend $324 million on the Phoenix Coyotes, an ice hockey team that plays in Glendale’s Jobing.com Arena. The team has been owned by the league itself since its former owner, Jerry Moyes, declared bankruptcy in 2009. For each of the past two seasons, Glendale has paid $25 million to the league to manage the Coyotes, even as the city faced millions of dollars in budget deficits. Now, Greg Jamison, who is also part of the organization that owns the NHL’s San Jose Sharks, is making a bid for the team, and would therefore be the beneficiary of the subsidies. To put the deal in perspective, Glendale’s budget gap for 2012 is about $35 million. As the city voted to give a future Coyotes owner hundreds of millions of taxpayer dollars, it laid off 49 public workers, and even considered putting its city hall and police station up as collateral to obtain a loan, according to the Arizona Republic. (The latter plan was ultimately scrapped.) Overall, Glendale is not only on the hook for $15 million per year over two decades to a potential Coyotes owner, but also a $12 million annual debt payment for construction of its arena. In return, according to the Republic, the city receives a measly “$2.2 million in annual rent payments, ticket surcharges, sales taxes and other fees.” Even if the Coyotes were to dominate the league like no other in recent memory and return to the Stanley Cup Finals year after year, the city would still lose $9 million annually.